It’s so easy to sit there and think about the way you would definitely probably handle a far-off and entirely hypothetical situation — especially if that situation is your potential future parenthood. Of course my kid is going to sleep through the night in his own crib. Of course I’m going to feed him something organic and green with every meal. Of course he’s not going to have any screen-time before he’s 2; I believe in the best practices for child development! And then there’s reality. You become a parent. You’re on day 267 of subpar sleep, and your actions end up quite different from what you imagined. Here are seven things I swore I’d never do as a parent — that I now do all the time. I was out at a restaurant many moons ago, pre-baby, and I watched as an impatient parent jolted their kid away from putting the saltshaker in their mouth and proceeded to say no to literally everything the kid was doing. She seemed bothered to have a kid at all, and I was bothered that she had a kid, and I vowed to myself that if ever I became a parent, I would never be that parent. I was going to be the kind of parent who redirected negatives into thoughtful, affirmative statements. Rather than say, “No, don’t touch that,” I’d say, “That wouldn’t taste very good in your mouth; try this instead.” Nice in theory and all, but when your baby is getting into everything, including wires and electronics and the cat’s tail, a firm no ends up coming out of my mouth pretty frequently. I’m not proud, but it works, and it sometimes feels necessary. I felt very strongly (before becoming a parent and even during the first three months of my baby’s life) that my son would transition from the bassinet in our room to his crib, where he would learn to sleep soundly and happily for the remainder of his life. I had a cruel reality check when he outgrew the bassinet but refused to sleep in the crib for more than a couple of hours at a time. After getting up many times in the night and spending upward of an hour each time in a rocking chair lulling him back to sleep only to put him down and have him wake up seeking attention again immediately, it was a quick decision (quicker than my pre-parent self would have approved of, that’s for sure) to invite him into bed so we could all get more sleep. I used to read all about how “the more active the toy is, the less active the baby is.” The idea is to give your kids toys that are static and quiet so their imagination can fill in the blanks. But then their grandparents drop off piles of toys that flash enough to cause a seizure — and sing awful songs that sound creepy and get stuck in your head. And of course, those are the toys your baby loves most. When my kid is cranky and nothing else works to calm him down, I end up giving him one of these dreadful things to play with and feel zero guilt. This is another big one I felt so strongly about before I actually had a child. 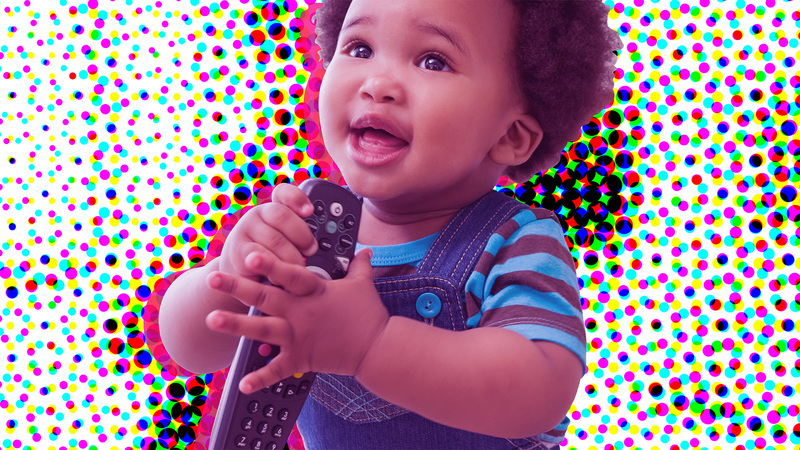 I read all the studies showing television before 18 months slows cognitive growth and is a hindrance to kids learning and playing — even when it’s just on in the background. I grew up with very little TV, and I pride myself on finding alternative forms of entertainment. But my wife loves TV, and now the baby is obsessed with Sesame Street, which is arguably pretty good TV. So we’ve met in the middle: He’s allowed to watch his one episode of Sesame Street per day — and he and my wife watch football on Sundays (which he strangely loves and half-watches while he plays). Pre-parenthood, I watched as my family members and friends grew bitter toward their spouses once they had kids, bickering over every little thing and acting like they didn’t even really like each other anymore. I vowed we would be different. My wife and I were a dream team, and we never fought. But after our son was born, factor in lack of sleep plus clashing parenting styles on some of the 1 million decisions we needed to make each day for our child’s well-being — and my wife and I argue more than ever. When I was growing up, I knew so many kids whose parents coddled them something terrible. They micromanaged their every move, which I always thought did a huge disservice to those kids. And I knew that non-coddling, independence-building behavior starts young with things like allowing your child to take a tumble or letting them cry a while and learn how to self-soothe. But I can’t bring myself to do that. When my baby cries, I pick him up. When he falls, I catch him. I hope as he gets older I’ll be able to take a step back and let him learn to fail and succeed on his own — but for now, I’m here to protect him. Maybe there will be a moment when it will click for me and the altruistic wish list I dreamed up before my baby was born will finally collide with reality — or maybe it’s just the natural order of things to have expectations about how you’d like something to go in the distant future only to realize you have little control over the matter once it’s actually at hand. But as long as my baby is happy and healthy, I will try to roll with the punches. That and maintain a good sense of humor about how easy it was for me to “parent” before I ever had a baby.